The 10% export duty on heavy minerals seems to be having a grave impact on the mining sector. 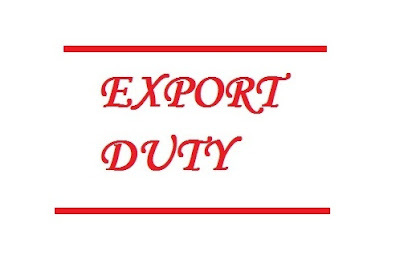 The industry officials have raised the concern and requested the Centre to withdraw the export duty. “The government of India in the budget has imposed a 10 per cent export duty on sale of ilmenite and five per cent duty on upgraded ilmenite. This has already impacted us. We are already feeling the pinch of it in places like Karnataka and Gujarat,” said Mining Engineers Association of India National President Arjeth Bagchhi. The mining industry is contributing about 2.5% of country’s GDP by employing over 50 lakh people. VV Mineral states that the Indian ilmenite was accepted only in China. “However, due to the export duty, China may look to South Africa for ilmenite,” VV Minerals. Indian ilmenite is low grade which requires a huge capital to separate them for purity. What was $200 per tonne has now come to $100 per tonne of ilmenite. “At this rate, the mining industry will soon face a standstill and lot of people will find themselves jobless,” says VV Minerals India. In the wake of export duty, South Africa may export its ilmenite to China due to its quality and price. This hampers the Indian company’s chances of competing globally. Moreover, the government has also decided to do away with extension of leasing ilmenite which will definitely be the collapse of the mining industry in the near future.